Doors are an expression of humans’ sophisticated advancement. 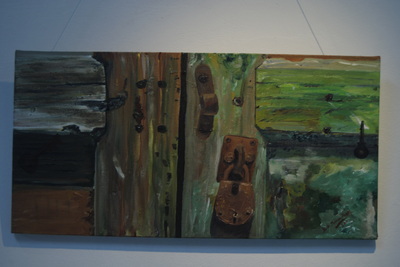 It is a structure to close off the entrance to their territory. It is used to seclude themselves and their belongings from strangers. 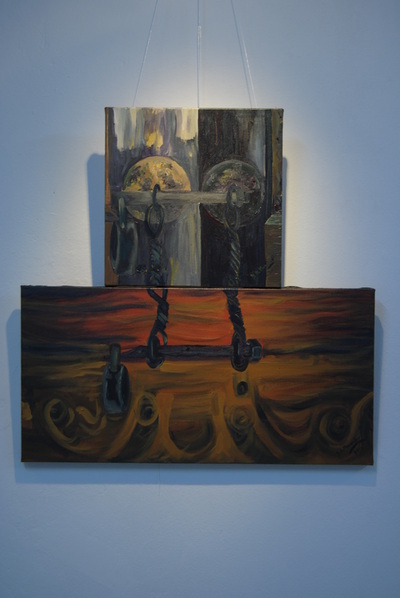 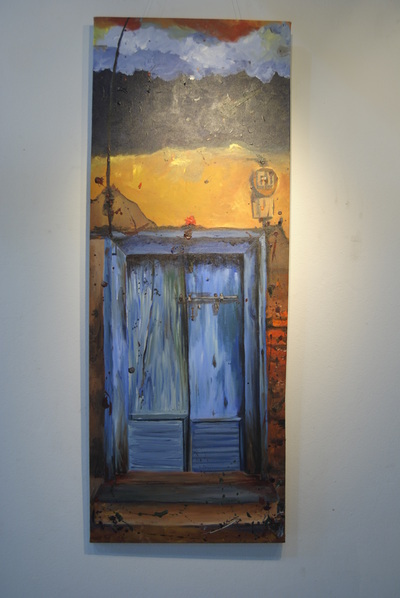 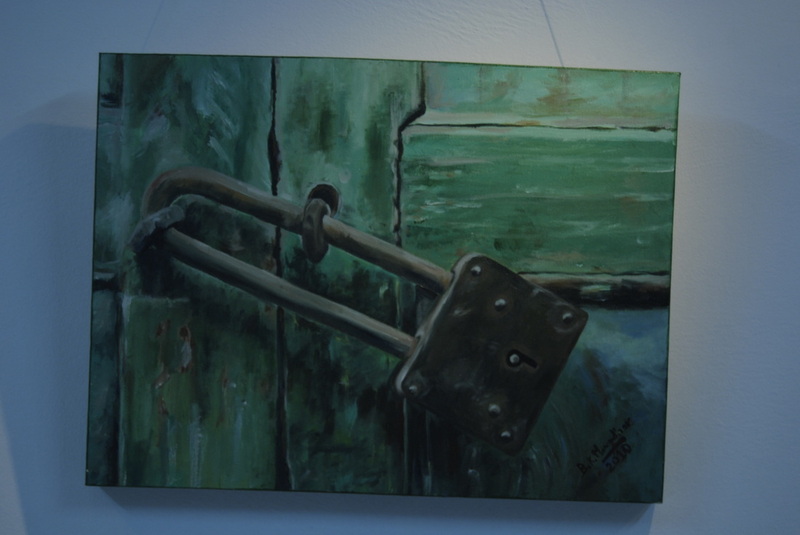 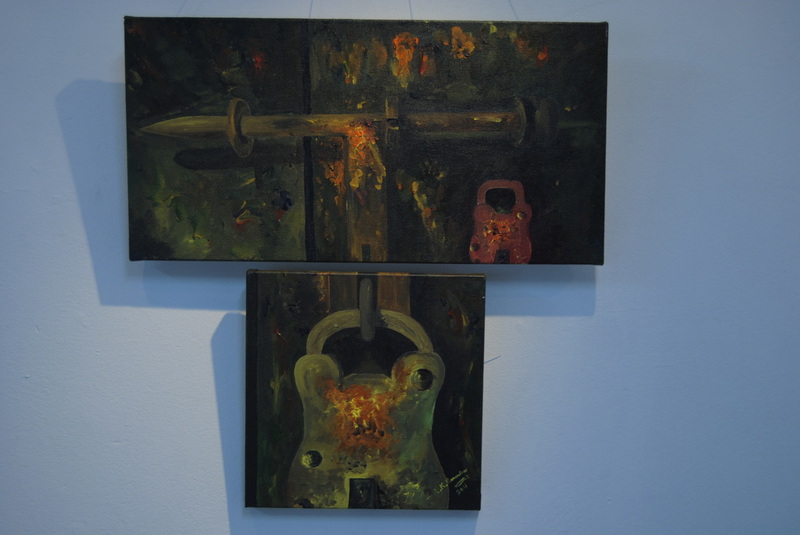 However, in this exhibition, Bishal’s doors are an invitation to the public in to his creative realm; because doors also have an aesthetic meaning in creating an impression of what lies beyond. In Nepal, doors traditionally have a ritualistic meaning. 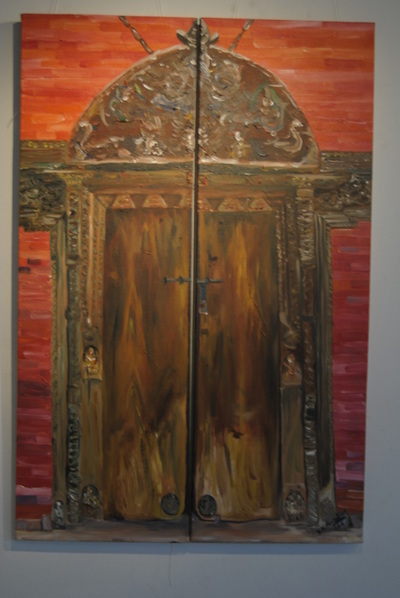 The doors of temples and sanctuaries have great significance. 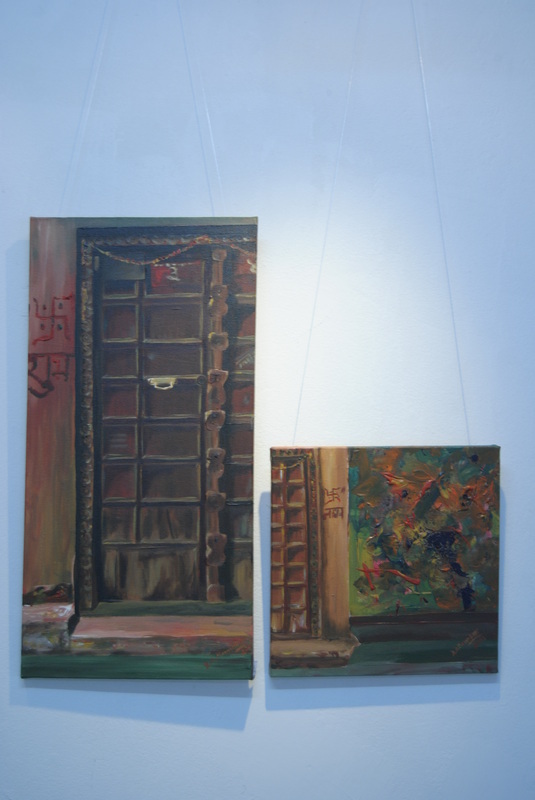 Here, Bishal has skillfully amalgamated the traditional perception with the modern sophisticated purposes of doors in his artworks. 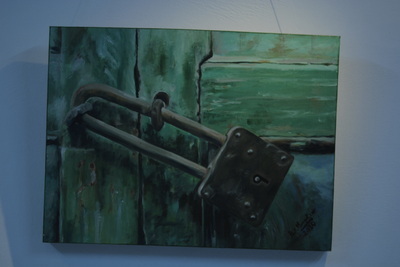 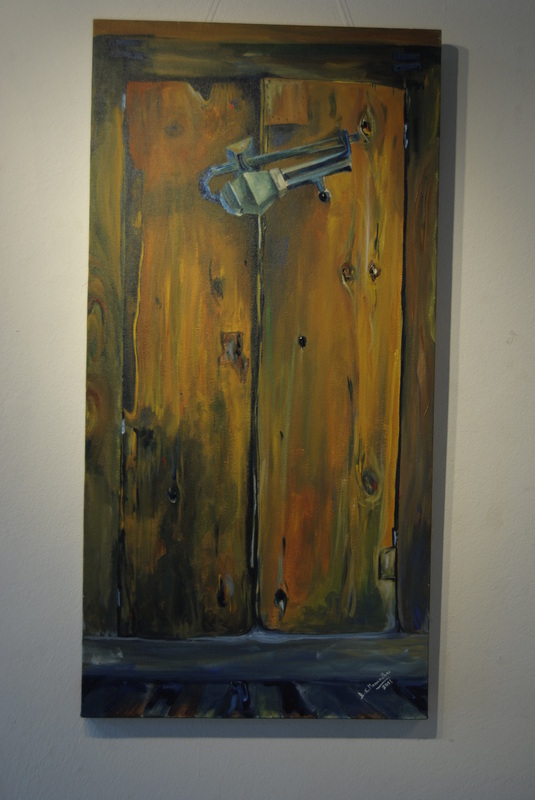 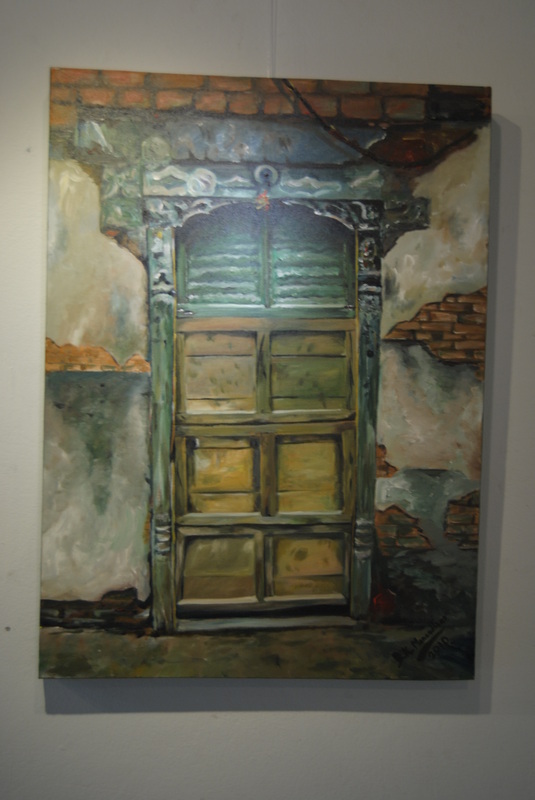 The artworks in this exhibition display various images of doors, mostly old doors that can be seen in temples and old and traditional houses. 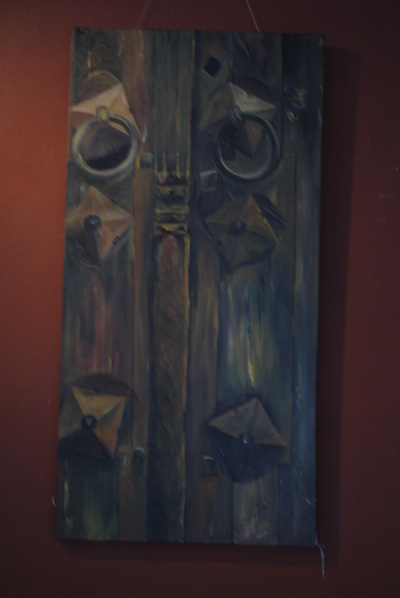 It is believed that the earliest records of doors are those represented in the paintings of the Egyptian tombs. 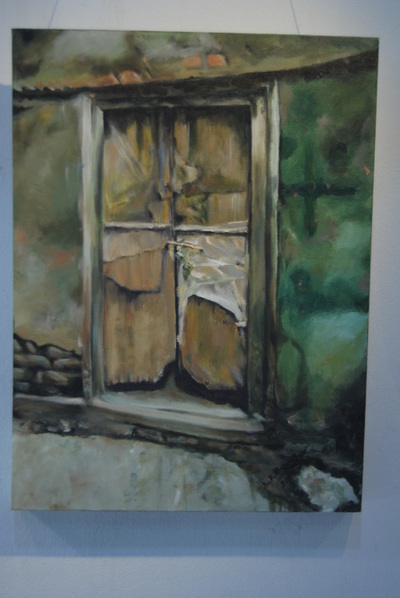 Archaeologists in Switzerland have found a 5,000 year old door. 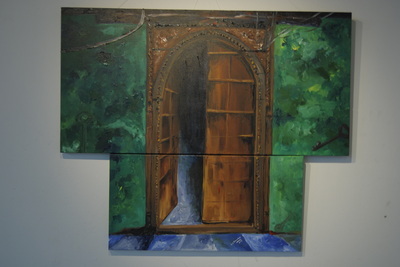 However, when anything is brought into new surroundings, then it is bound to adapt, evolve and bear unique features of its own because of the influence of the surroundings. 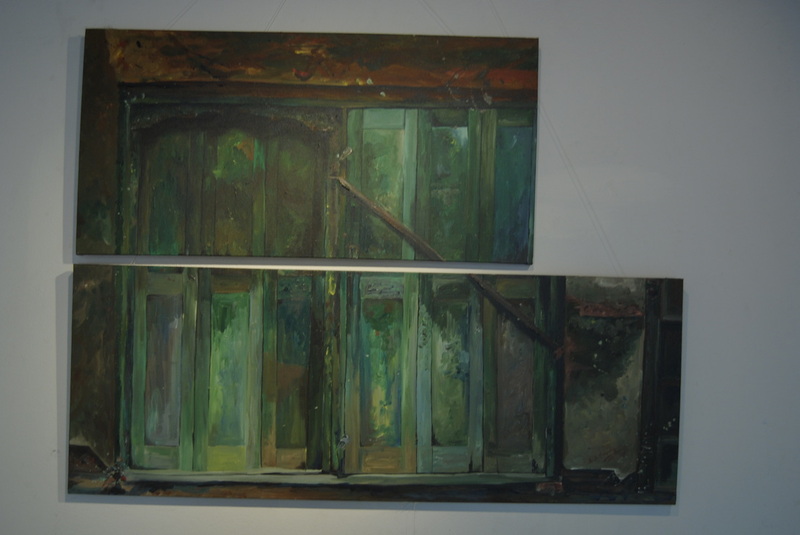 This exhibition can also be understood as a documentation of the varied doors that are found in Kathmandu valley. 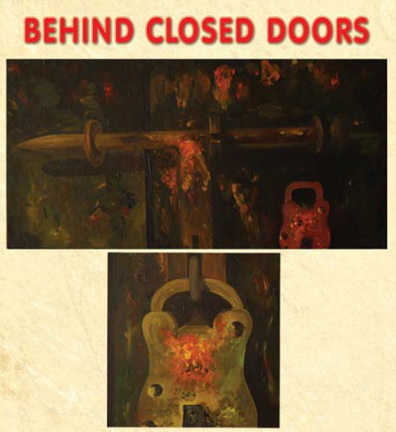 Closed doors usually arouse a secretive fascination. 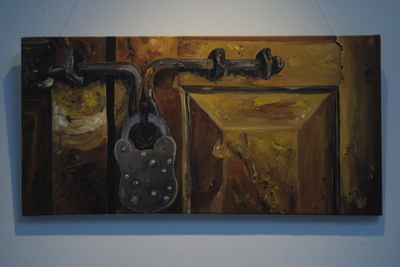 And secrets are the information that are stored in the deep psyche of an individual. Therefore, the representation of doors indicates how individualistic Bishal is. 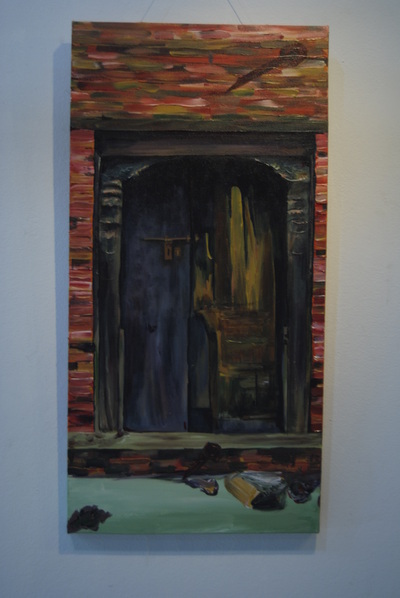 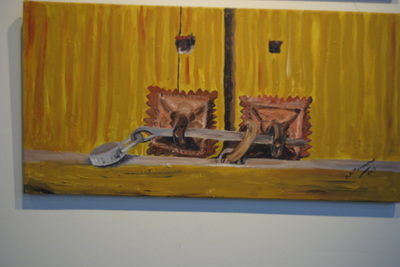 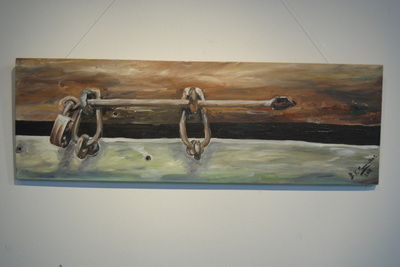 On the other hand he is not representing just any door, but he is depicting traditional doors. 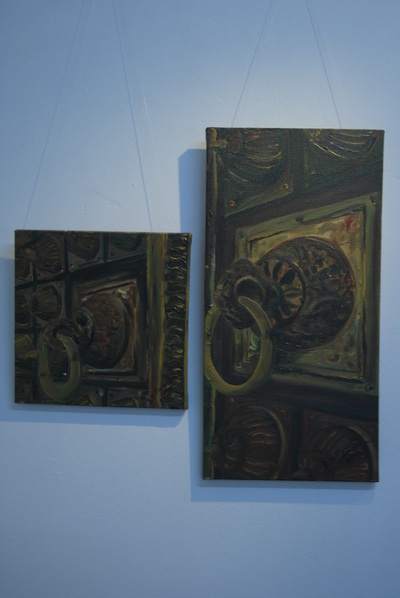 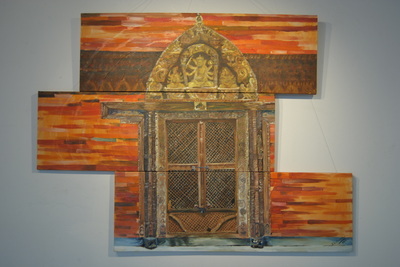 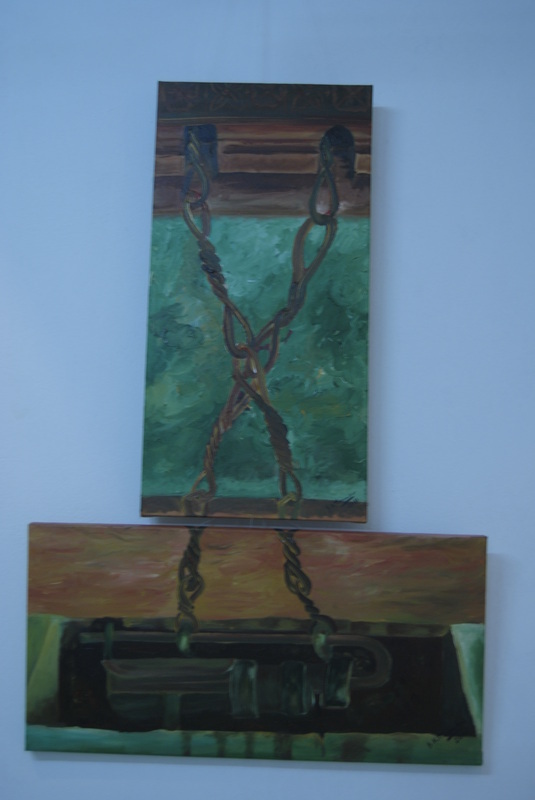 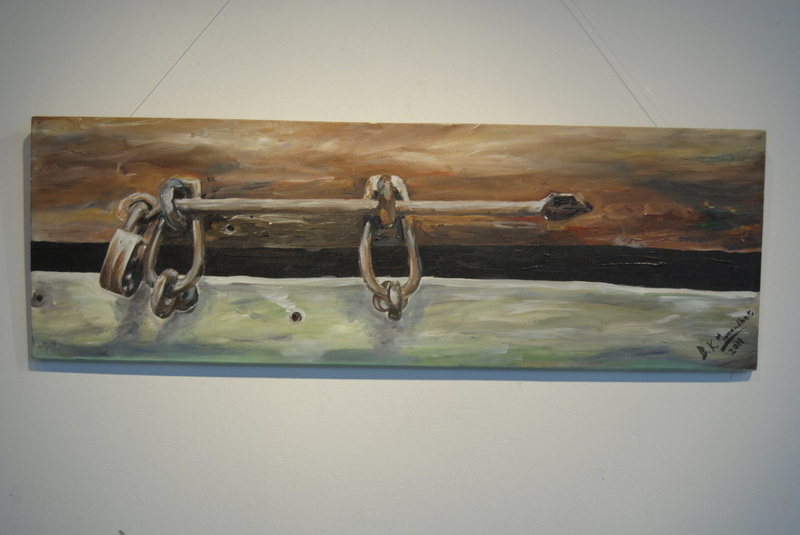 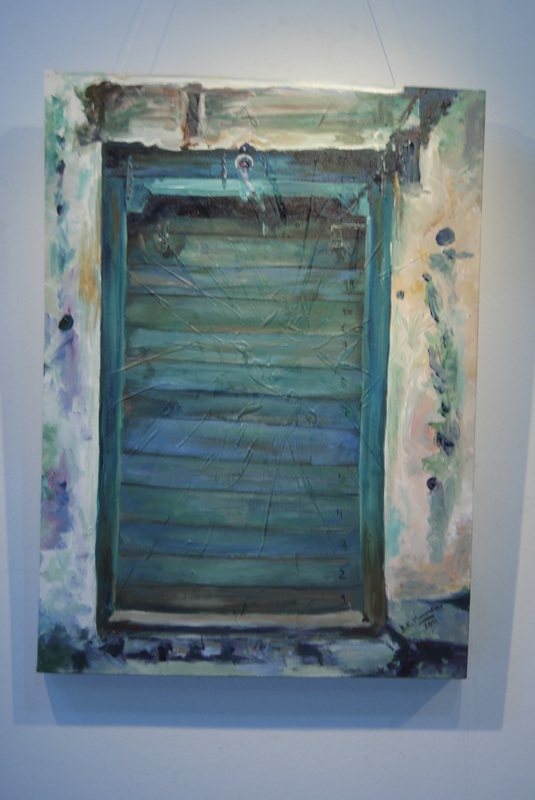 Depiction of traditional doors, according to Bishal is a homage to his traditional values. 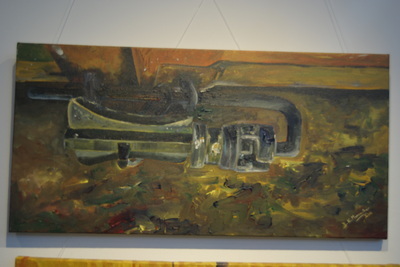 And traditional values and cultural occurrences are a collective phenomenon. Hence, his art is indeed an absolute combination of individuality and collectivity. Now it remains to be seen how many doors Bishal will unlock in his mind to reach the imaginative space in order to merge with the concept of Creation.